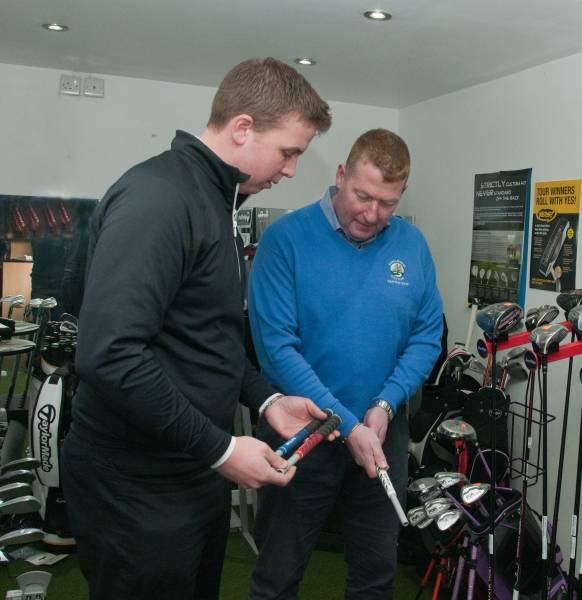 Let us check the loft and lies of your clubs for free! Grips are made of materials that age and wear as a function of time. Ozone, heat, dirt, and oils from your hands all age your grips and cause the natural degradation of the grip. The traction that a fresh grip provides lets you hold the club lightly without the subconscious fear of losing the club during your swing. This relaxed state promotes proper swing mechanics and wrist action. 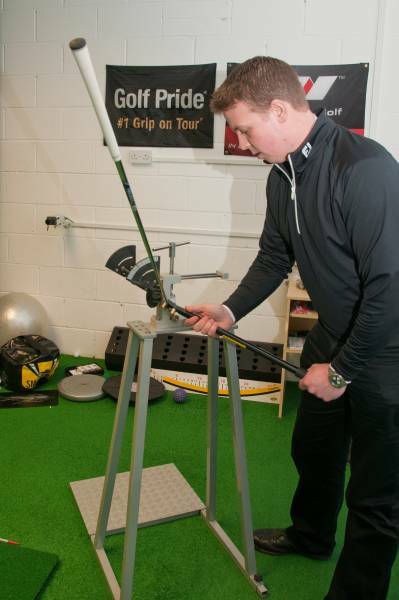 A worn grip causes you to grasp the club tighter, causing arm and wrist tension that inhibits proper swing mechanics. Granted, frequent play and personal preference may dictate re-gripping sooner, but normally there's enough degradation of the material after a year to warrant fresh grips. A golf club's loft and lie angles can move over time - when was the last time you checked yours? Lie Angle - This have a significant effect on shot direction. Mechanical testing using a 6 iron has shown that if the lie angle is wrong by 2 degrees, the shot will finish 20 feet off target.